I have never been a comics fan. First and foremost, I find the the physical act of reading them really difficult. I suspect they’re too visually busy for me, causing me to get distracted easily and have problems following the narrative thread, but I’m not really sure, as I don’t have the same problem with newspaper-style comics, even the more visually experimental ones like the later Calvin & Hobbes strips. On top of that, I haven’t been overly impressed with the writing of most comics I’ve attempted (which is, to be fair, not many, thanks to the aforementioned problem reading them). To me, they read like something halfway between a novel and a film, but with neither the depth of a novel or the immersiveness of a film. (Sorry, fans, I’ll turn in my geek card now.) On top of that, I don’t like the typical plots of traditional comics – superheroes gifted their powers by some bizarre accident involving radiation (or whatever) are inherently less interesting to me than someone who’s developed their natural abilities to the highest level via hard work and dedication. And supervillains with grandiose plans to destroy the world are even worse. So yeah, nothing against those of you who do like them, but comics so far have just not been for me. Comic book movies haven’t been that much better, in general. Spider-man and Spider-man 2: yawn. Batman Begins: yawn. The Dark Knight: better, but only when Heath Ledger was onscreen. The Dark Knight Rises: on my list to watch someday on account of Tom Hardy, but not very high on my list. Superman: never watched in any form, unless you count this Smallville humor vid. X-men: on my list to try, but again, not exactly high on the list. Marvel’s recent oeuvre, on the other hand, has started to pique my interest a bit more. It’s managed to produce not one, but two entire movies based on comic books that I really liked. I’m not sure how long this will continue, considering that the contracts on its biggest stars are running out, but for now, I’m enjoying it. 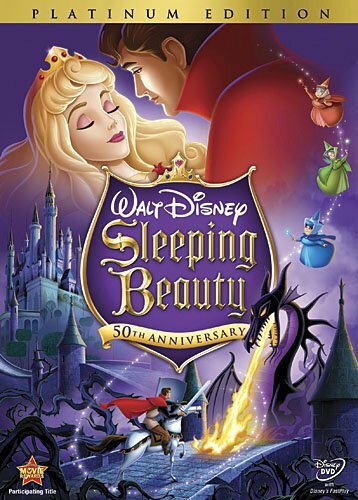 This movie was advertised as a family film on Netflix, but my seven year old daughter didn’t get much out of it and we sent her to bed partway through. I think it would probably be better suited to somewhat older children – maybe 10 or 12. 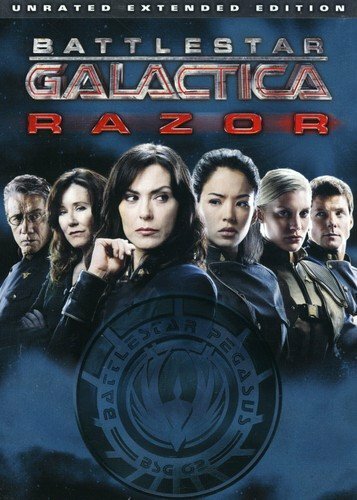 My husband and I thought it was enjoyable, but not as good as its cast. From Time To Time is one of those films that’s like a game of “Who’s The Great British Character Actor?” It’s got the goddess Maggie Smith, Timothy Spall of Harry Potter, Dominic West of The Wire, Carice van Houten of Game of Thrones (I know, I know, Dutch, not British), Hugh Bonneville of Downton Abbey, Allen Leach of Rome, Harriet Walter of Sense and Sensibility, and more. Unfortunately, none of them were really given a whole lot to do. The screenplay was written by Julian Fellowes, who also wrote Downton Abbey, Gosford Park, and other favorites of me and my husband, and based on the novel The Chimneys of Green Knowe (aka Treasure of Green Knowe). The main storyline is set in World War II Britain and follows a boy sent to live with his grandmother (Smith) at his family’s ancestral home in the countryside. On his very first night, he bumps into the ghost of one of his Regency-era relatives and soon realizes that he can travel between his own time and hers. 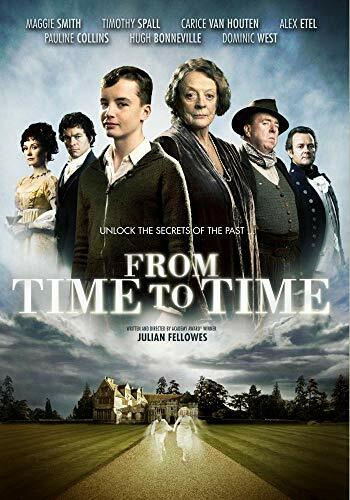 When he discovers that his grandmother is struggling financially and may soon be forced to sell the estate, he uses his time travel ability to solve the mystery of some priceless jewels stolen from the ghost’s mother nearly 150 years earlier. The blending of modern and Regency eras to solve a mystery from the past reminded me somewhat of Arcadia (complete with house fire), but without the play’s brilliant wit. Though Maggie Smith had a few good lines, none were as memorable as her other Julian Fellowes roles, as the Dowager Countess in Downton Abbey and Countess of Trentham in Gosford Park. The ending may also be a bit of a downer for some children. This film doesn’t have a lot of depth or originality, but it’s a charming, feel-good story about an Indian family who opens a restaurant in rural France and it’s helped substantially by good performances, particularly by Helen Mirren, in a role reminiscent of her Oscar-nominated performance as Mrs. Wilson in Gosford Park, and veteran Indian actor Om Puri. The cinematography is also top-notch, with many beautiful shots of the French countryside and mouth-watering shots of various dishes and ingredients, French and Indian alike. Don’t watch this movie if you’re hungry! I’ve seen a few Westernized Indian movies, like Bride and Prejudice and Monsoon Wedding, but Lagaan was my first experience with a real Bollywood film. I think it was a pretty lucky first choice. 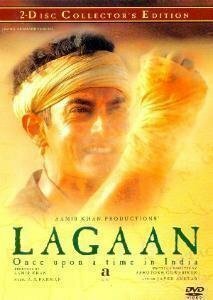 The main plot of Lagaan revolves around a poor farming village in 19th century India, which is stricken by a horrific drought and unable to pay the taxes (lagaan) it owes to the British Raj. The hero, Bhuvan (Aamir Khan), makes a bet with the arrogant and cruel officer in charge of collecting the tax that if the villagers can beat the British in a game of cricket, their debt will be forgiven. But if they lose, their tax will be increased by three times. What follows is good old-fashioned, feel-good fun. Although I’m not much of a sports fan and know almost nothing about cricket, I found it easy to get swept up in the film’s story, and it rarely lagged despite clocking in at nearly 4 hours of running time. Since there’s no subtitles in this copy of the clip, here’s what’s going on: Gauri (Gracy Singh) is in love with Bhuvan but fears he is falling in love with a British woman who has taken pity on the villagers and is coaching them at cricket. During a religious celebration in their village, Bhuvan and Gauri re-enact a ceremonial dance for the villagers (and the British woman) about a goddess (Radha) jealous of her flirtatious lover (Krishna), while Krishna tries to reassure her that his heart belongs only to her. Of course, there’s a double meaning in every line and gesture. Great film! I highly recommend it. 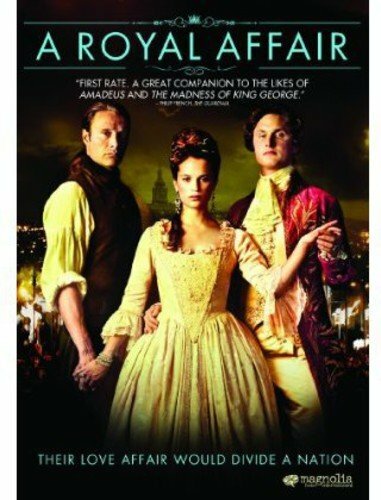 Winston Churchill once said, “It has been said that democracy is the worst form of government except for all those other forms that have been tried.” A Royal Affair is the sort of movie that reminds you how right he was. As frustrating as democracy can sometimes be, imagine what it might be like to try and enact any sort of meaningful reform or change in a country ruled by a king who is weak-willed, unstable, and quite possibly insane. Add in entrenched conservative interests such as a powerful Church and aristocracy, and an uneducated and superstitious populace, and you have the unenviable task taken on by Johann Struensee, an ambitious but idealistic commoner who rose to become the de facto regent of Denmark after becoming the personal physician of King Christian VII. Along the way, Struensee also become the lover of Christian’s queen, Caroline Matilda of Great Britain (sister of the hapless King George III, who had his own share of mental problems later in life), which proved the catalyst for his ultimate downfall. 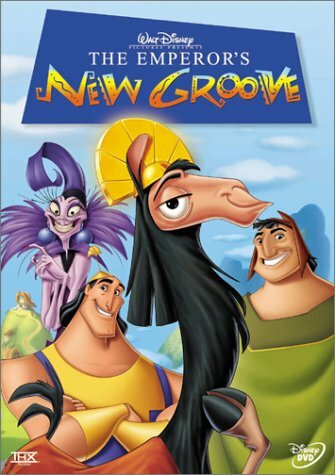 Speaking of helpful reminders, this film is also a pretty good reminder of how much life sucked for the average princess, historically. Caroline is shipped off to a foreign country at the age of 15, her friends and family taken from her, even her beloved books sent back to England due to Denmark’s harsh censorship laws. Married to the aforementioned unstable and possibly insane king, she is all but raped on her wedding night, gives birth at the age of 16, and is left neglected and bored in the palace while he goes off for tours of Europe and wild nights with prostitutes. One can hardly blame her for seeking solace in Struensee’s arms, but the laws of her own time were not so forgiving. The story of their doomed romance and efforts at reform is beautifully shot, sumptuously costumed (especially given the film’s relatively small budget), and very well acted. Mads Mikkelsen as Struensee and Alicia Vikander as Caroline Matilda have good chemistry together and really make you feel for both characters. I was also impressed by the performance of Mikkel Boe Følsgaard as the unstable but well-meaning Christian. Christian and Struensee’s relationship lacked the UST of Caroline and Struensee’s, but was more complex and ultimately more interesting. It was as sad to watch their friendship fall apart as the more dramatic and involuntary severing of Caroline and Struensee’s relationship. One minor disappointment – if Wikipedia is to be believed, the real Caroline had a penchant for wearing men’s clothes in public, which scandalized the nation as much as, if not more than, her affair with Streunsee. Although Struensee encourages the film Caroline to ride astride, rather than sidesaddle, there’s no other indication of her cross-dressing habit, which is a pity, really. The real Christian was also notable for affairs with young men, though his most long-lasting and famous extramarital liaison was with a female prostitute. Despite these and some other emissions and changes, the film overall seems unusually historically accurate for a movie (readers with more extensive knowledge of Danish history are welcome to correct me if this impression is incorrect), yet its accuracy comes without sacrificing good storytelling. Highly recommended. After several years without it, I decided to sign up for Netflix again a few days ago. The first full movie I watched was First Position, a ballet documentary that popped up on my recommendation list. When I noticed the date, I was a little surprised that I’d never heard of it before, as I love dance and watch lots of movies and documentaries about various forms of it, but I clicked play and quickly made up for lost time! First Position is a well-made and interesting documentary that gives a good feel for the lives of the young dancers it portrays. As someone who studied ballet for many years myself, I didn’t learn as much as I did with something like, for example, Jig. As a result, my attention wandered during some parts because I already know stuff like how hideous ballerina’s feet are and how much many of them actually eat. However, my personal experience had advantages as well. With Jig, I could be impressed by the speed and rhythm of Joe Bitter’s set dance without fully understanding what I was seeing. With First Position, I knew exactly what I was seeing in performances such as 12 year old Miko Fogarty’s variation on Don Quixote, and why these kids were so amazing. Because the movie was filmed back in 2010, several of the older dancers have since gone on to professional careers, including the Columbian Joan Sebastian Zamora (pictured on the cover), who currently dances with the English National Ballet, and the girl from Sierra Leone, Michaela dePrince, who is currently dancing with the Dutch National Ballet. First Position’s Facebook page also recently announced that Aran Bell, now 15, will be dancing with the American Ballet Theater’s studio company this season, and Miko Fogarty (now 16) also seems to be keeping busy with both studying and performing, if her Facebook page is any indication. If you love ballet or want to learn more about it, you’ll love this documentary!